In 2013, R&B singer Robin Thicke became a household name. “Blurred Lines” was Thicke’s fortuitous soul-disco-funk-influenced “pop” collaboration with producer Pharrell Williams and rapper Clifford Harris, Jr. (aka “T.I.”). It became the top-selling single of the year globally (selling over 14.8 million units), spent the longest time at the top of the Billboard’s Hot 100, set the all-time record for reaching the largest US radio audience, and also reached no. 1 in 80 countries. Since then, however, “Blurred Lines” and Thicke’s overwhelming success have been eclipsed by the recent federal court case, in which a jury decided that its creators infringed upon the copyright of Marvin Gaye’s 1977 Billboard Hot 100 chart topper, “Got to Give It Up.” In an unprecedented verdict and after two years of litigation in various courts, the Gaye estate was awarded $7.4 million in recuperative damages. While many debates have been sparked about the precedence this case and its verdict set for copyright law and artistic freedom, one of the more striking observations worth consideration is how the legal proceedings of the trial reflect the complex evolution of and relationship between sound, intellectual property, and (recorded) music from the advent of copyright law in the United States until the present. This grounding of copyright law in the context of US history might also help to unpack both the legal and cultural contentions that arise from the case. It might also point towards ways in which law and creativity—particularly within the popular music industry—might productively interconnect. Such a consideration might help to ground how we understand the idea of positing sound as intellectual property. Trade ad for Marvin Gaye’s album Anthology. Billboard, page 1, 27 April 1974. Public domain via Wikimedia Commons. The nation’s first copyright law was passed in 1710, and was the first time an author could claim the right to their own written work beyond the printing guilds that published them. It was not until 1831 that music legally became the first “creative” work under protection. Still, the protection was based on the written document, the musical score in this case, and it was the publishers who gained copyright protection for their scores, not the author of the tune or music. It was not until the International Copyright Act of 1891 that authors of musical works retained exclusive rights to their copyrighted scores, and publishers were required to obtain permission from them for printing. To whom the law granted property ownership, however, was restricted. Throughout most of the 19th century, as African Americans were structurally denied access to many civic, economic, and political rights, Irish-, Jewish-, and Anglo-American publishers and performers gained unprecedented success in the establishment of the nascent popular music industry through blackface minstrelsy—the first original and popular form of mass entertainment in North America. The founders of the US popular music industry—and those who would begin to claim copyrights through its sheet music—were mostly (white) men who, in blackface, “appropriated” real and imagined performances of black culture and blended them with others (classical, Irish folk music, etc.) during enslavement, emancipation, and Jim Crow, into a complexly amalgamated popular style. To protect their “intellectual property,” composers in the 1890s began to lobby for greater legal protection of written and scored works, as the cultural autonomy of the “author” continued to develop in the late 19th century. After the intense lobbying efforts of Tin Pan Alley-based composers, due to then recent developments in recording and reproduction technologies, the passage of the Copyright Act of 1909 allowed them to claim authorship of their scores for mechanical reproduction, and record companies were required to either ask permission for the initial recording, or a flat fee for subsequent ones. These protections, however, were still based on the written score—leaving the sounds that went into their live realizations up for legal grabs. The latest revision of copyright law did not occur until 1976, after music (and film) piracy became widespread with the mass introduction of tape and cassettes in the 1960s, threatening the pockets of the entertainment industry. Fortunately, the new Act included revisions that also extended the terms of ownership for authors, and extended the general rights of ownership for publishers and authors alike. This Act also confirmed that the “original” sound of sound recordings—as produced by those involved in the recording’s creation—became copyrightable material. After almost two centuries of copyright law and practice, ideas and laws of intellectual property began to extended beyond the “text,” or written score and lyrics, to include its performance and realization. Coincidentally, it was a legal loophole from the 1976 Act, the cultural expansion of what constitutes “intellectual property,” and the limitations of our current copyright system that set the stage for how the “Blurred Lines” case was argued and adjudicated in the US District Court of California. After the Marvin Gaye estate formally requested some sort of recompense from Thicke, Williams, Harris, and the distributors of “Blurred Lines” for its sonic similarity and “feel” to Gaye’s “Got to Give It Up” in 2013, the trio launched a “Complaint for Declamatory Relief” against the Gaye estate. In this case, the creators of “Blurred Lines” claimed, “Defendants continue to insist that plaintiff’s massively successful composition, ‘Blurred Lines’…and ‘Got to Give It Up’ ‘feel’ or ‘sound’ the same. Being reminiscent of a ‘sound’ is not copyright infringement. The intent in producing ‘Blurred Lines’ was to evoke an era. In reality, the Gaye defendants are claiming ownership of an entire genre, as opposed to a specific work.” After sufficient evidence was produced to suggest a discrepancy between the plaintiff and defendant’s claims, however, the summary judgment was denied, and the historical court case was initiated. There are two basic matters that must be proved to establish copyright infringement under our current law. copying of “original” constituent elements of the copyrighted work. As the case’s court instructions indicate, to prove infringement under copyright law, one has to prove the copying of an expression of an idea, and not just an idea itself. The legal loophole found in copyright law by the Thicke/Williams camp was that Gaye’s commercial sound recording of “Got to Give It Up”—which contains many of the sonic and performative elements that suggest the “groove” and “feel” of the song, including Gaye’s voice—was not admissible court evidence. The lead sheet (a truncated score that contains limited musical indications) and commercial recording to Marvin Gaye’s “Got to Give It Up” were deposited for copyright before the new 1976 Copyright Act went into effect in 1978. This loophole suggested that Gaye only owned the copyright to the lead sheet and did not legally own any rights to the recording of “Got to Give It Up,” and it therefore could not be used in court. This required both camps to provide sufficient competing evidence, through a cyber forensic analysis of digital sound and the analysis of expert music scholars, to show whether the relationship between the songs was one of inspiration or exploitation. Do you find by a preponderance of evidence that the Thicke parties infringed the Gay Parties’ copyright in the musical composition “Got to Give It Up” and “Blurred Lines”? Do you find by a preponderance of the evidence that the Thicke parties’ infringement of the copyright in “Got to Give It Up” was willful? Do you find by a preponderance of the evidence that the Thicke parties’ infringement of the copyright in “Got to Give It Up” was innocent? With only the limited lead sheet that Gaye deposited for copyright, an edited recording of the copyrighted elements (sans Gaye’s voice) of “Got to Give It Up,” statements made by the creators, and the music analysis, the Gaye party and its expert witnesses relied on an expanded understanding of sound as intellectual property in order to make the musical case that “Blurred Lines” went beyond mere homage to illegal imitation. In accordance with copyright law, the “similarities” under consideration had to be proven independently of one another in order to show infringement. However, it was not the actual discussion of “groove” or “feel,” or a legal consideration of these concepts as copyrightable elements (e.g., sources of intellectual property) beyond what the court deems as “scènes à faire” (or “generic ideas”). 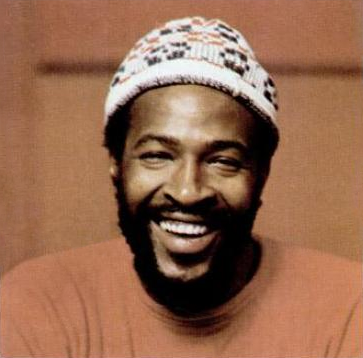 It was the way in which groove was broken down into a traditional structural analysis, something that could be proven as a copyrightable text, something “scientifically quantifiable,” that effectively convinced the jurors that there was “direct and circumstantial evidence” that “Blurred Lines” was in some part derived from Gaye’s work. 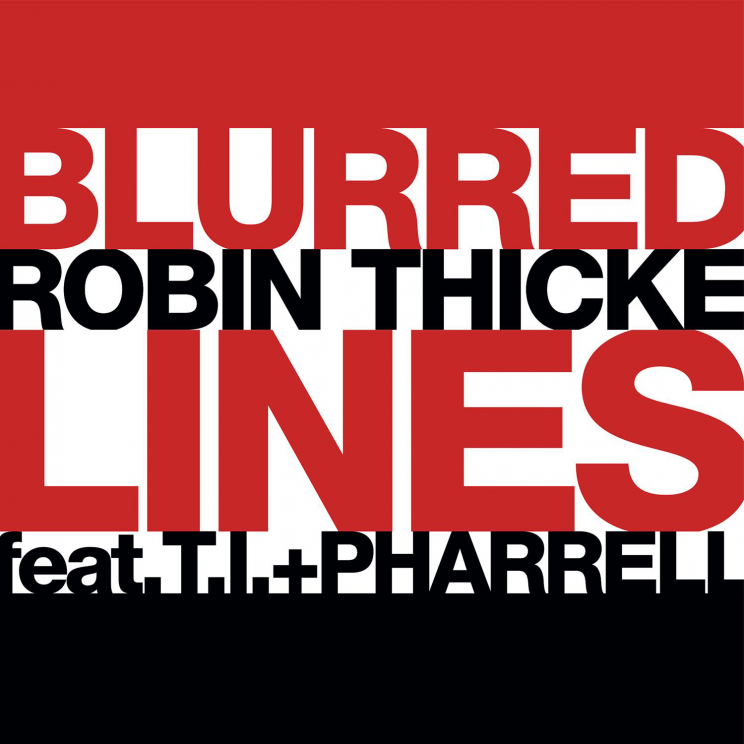 Single cover for Blurred Lines by Robin Thicke featuring T.I. and Pharrell. Public Domain via Wikimedia Commons. The verdict is a huge win for the Gaye estate. Symbolically, it is also a win for the many artists, especially African American artists in the United States, who have historically suffered unfair use of and unequal compensation for works, or who have been denied access to copyright their original creations. The verdict is also a victory for those whose creative intellectual property—particularly of the sonic and corporeal variety—has only recently been valued and upheld by law. On the other hand, because of the traditional and structural approach to presenting the case, the verdict could also lead to some artists feeling limited by their creative license to explore sounds and styles of previous eras, or it might encourage shrill industry executives to create practices that exploit both the freedoms and limitations of copyrighted and potentially copyrightable material. 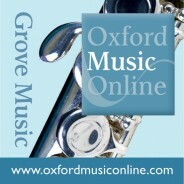 Albeit a difficult task, this significant case begs for new considerations of what constitutes intellectual property in music, for interrogating the full-range of music’s constituent components beyond structural listening, and for how we understand the copyright potential of music beyond its textual and recorded basis. If artists, musicologists, litigators, and lawmakers begin to reorient themselves around the history and recent developments in copyright, as well as ideas of what might constitute intellectual property in music (i.e., sound and groove), we might find ourselves lobbying for changes to the 1976 Copyright Act that reflect 21st century needs, rather than trying to find ways around outdated laws and procedures in contentious litigations on sound. Feature Image: CC0 Public Domain via Pixabay. Matthew D. Morrison is a Faculty Fellow at the Clive Davis Institute of Recorded Music in the Tisch School of the Arts at New York University. He holds graduate degrees in musicology from Columbia University (Ph.D.) and The Catholic University of America (M.A. ), and was a Presidential scholar in music (violin performance) at Morehouse College. Matthew has served as Editor-in-Chief of the peer-reviewed music journal, Current Musicology, where he published a special issue on Race, Sound, and Performance (Spring 2012). His work has appeared in the Journal of the American Musicological Society and The Grove Dictionary of American Music. His work centers on considering the implications of positing sound as a major component of how identity and society are constructed through music. I think you miss the CRITICAL point of copyright law that is in play here. A “derivative work” is virtually anything “based upon” an existing work. Thicke admitted as much in an interview to GQ magazine, when he admitted his intent in making Blurred Lines was to make something with the same groove as “Got to Give it Up”. In essence, he admitted a copyright violation. The real question is how substantial the Gaye portion of the copyright should be relative to the Thicke/Williams portion (plus triple damages for denying the claim). In most copyright cases, the copying artist denies ever seeing the original, and if a trial occurs, the jury must establish that the new work was intended to be based upon the pre-existing work. That is a very high burden of proof, because it requires demonstrating that the new artist was exposed to the original work, and that he used that exposure to make the new work. So copyright law usually comes down to comparing how exactly similar the notes in two pieces are. That, however, is not copyright law. Once someone admits, as Thicke did, that he intended to based a new work on the “groove” from Marvin Gaye’s song, the copyright violation is clear. Without that admission, there would be no lawsuit. David Blake’s point about derivative works paints with far too broad a brush. A work is not “derivative” of another under US copyright law unless it actually incorporates parts or elements, a.k.a. preexisting material, from the other work. The reason we even define “derivative work” under copyright law is because there is such a thing as taking *existing elements* directly from someone else’s work and combining them with new elements that are original to the later author. When that is done, a new work with its own copyright protection is created–but the copyright protection in that new work only covers the elements that the author made up, not the elements that the author took from the older work. Examples: fiction or movies based on a preexisting world. For instance, fan fiction set in JK Rowling’s Hogwarts or JRR Tolkien’s Middle Earth–the old elements created by Rowling or Tolkein, namely setting and perhaps some characters, are combined with new adventures, new characters, etc. New songs that use actual pieces of old songs (e.g. melodies, lyrics), such as Hawaiian singer Israel Kamakawiwo’ole’s medley combining “Over the Rainbow” with “Wonderful World.” In popular music, sampling is derivative since you’re taking actual pieces of the protected sound recording and including them in your own new song. But for your work to be derivative (and thus to require a license for the older work), you have to actually take identifiable parts of the older work and incorporate them into your own work. Just being inspired by another work (“Work A”) when you make your own (“Work B”) doesn’t mean Work B is a derivative work.